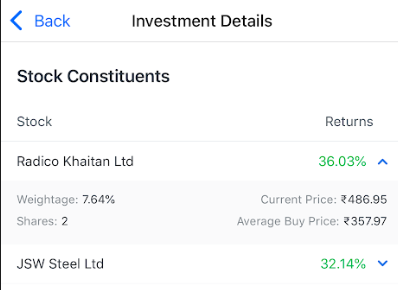 Tap on the blue arrow next to the returns percentage of the stock to view investment details for individual stocks - the current price, avg buy price, no. of shares and the weightage. 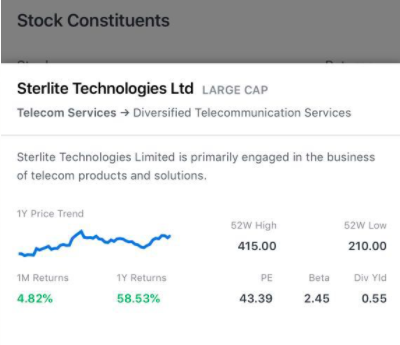 To view other stock specific details, tap on a stock to open up the stock widget.